They write, they call, they often don’t know a lot about astrology. But overwrought brides have one consistent concern. “Help!” they plead. “We’re getting married soon and I just found out there’s a Venus retrograde! Should we change the wedding date?” My answer is always the same: “Relax!” The astrology of Venus retrograde is not going to wreck a relationship or ruin a wedding. We’re not talking about big baddie Pluto, space cadet Neptune, shattering Uranus or even spoilsport Saturn. This is nice, sweet, stuff-of-life Venus. What’s not to like? Some astrological authorities have written that Venus is less favorable when it turns retrograde and that it could lead to costly mistakes. But in repeating this advice, the original intent is often overlooked, which was to maximize Venus’ strength in the wedding horoscope. In the 17th century, astrologer William Ramesey advised avoiding retrograde Venus, but he also suggested avoiding quite a number of other astrological combinations as well. There’s a regular laundry list of things to evade. And the fact is, it’s really tough to do! There is almost always something from this long list that even the best astrologers simply cannot avoid, realistically speaking. And Venus retrograde is only one of them. Venus will be retrograde from mid-May through July of 2012, for instance, primo spring wedding dates in the U.S. Over 265,000 couples will marry during this time – can anybody possibly imagine that they’re all doomed to failure? Since Venus rules love, I imagine that concerned brides fear their marriages will be less loving or affectionate, that their lives together may be less successful or cooperative than they might have been if an astrologer had selected a better wedding date. This may or may not be the case. 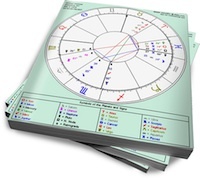 Astrologers juggle dozens of aspects and placements to select favorable dates. Some of these, unfortunately, can only be had at 3:15 on a Monday morning! And there are also restrictions of time and locale that the couple and guests virtually always impose. It’s important to remember that the wedding is just one day in a relationship. It’s significant, but most couples have already made their commitments. Many engaged couples have even lived together before marriage, in which case Venus retrograde on the wedding day might reinforce their emotional connection with one another. The astrological compatibility between the two partners is always more prominent than any wedding date can be. You may also have a good compatibility with the Venus sign in the wedding chart that compensates for any potential weakness in Venus. And of course, many people have Venus retrograde in their birth charts, and would feel quite comfortable with Venus retrograde as part of their wedding horoscopes. So if Venus retrograde is really not that bad, what does it actually represent? I feel that the wedding astrology of Venus retrograde may add a certain complexity to the marriage, but one that already existed beforehand. A woman left her first husband when their daughter was a toddler and married again a few years later. After the wedding, due to a career opportunity, they moved out of state, separating the girl from her father’s family. This couple married on Venus retrograde, and we can see the complexity of their emotional situation. Yet the daughter was still able to remain close to her father’s family over the years. Will Smith and Jada Pinkett’s wedding was on December 31, 1997 with Venus retrograde. Will has said that divorce is “not an option.” They’ve both maintained extremely successful careers, including founding a charity for inner-city kids. We can see the complexity in their union as Will has a son from a previous marriage. Brooke Shields married comedy writer Chris Henchy in a small private ceremony on April 4, 2001 with Venus retrograde. They’d been friends for over two years and had been engaged for eight months. Chris went through the end of Brooke’s two-year marriage to Andre Agassi with her, which seems to provide the note of Venusian complexity. Brooke also wrote about her struggles with post-partum depression after the birth of their first daughter, but the couple later had a second daughter without the same challenge. Jennifer Lopez married Marc Anthony on a Venus retrograde on June 5, 2004. This was Jennifer’s third marriage, and she’d been engaged to Ben Affleck less than six months before. Marc’s divorce from his first wife came through only four days before the wedding! And he has two kids from his first marriage and a third from another relationship. So their situation is very complex. Despite rumors of a potential divorce, they’ve worked together successfully and are proud parents of twins. Another Venus retrograde pattern emerges from these examples. The couples seem to do more than share a home and family, have kids and love each other. Their unions become the subjects of creative work. Since Venus rules the arts as well as money, and the retrograde is an unusual condition, they’re able to capitalize on their relationships. Jessica Simpson married Nick Lachey on October 26, 2002 with Venus retrograde. Less than two years later, their marriage became the subject of the hit MTV reality show Newlyweds, skyrocketing both of them to fame. Jessica also wrote a book about creating a celebrity style wedding on a budget. Though the marriage wasn’t successful for the long term (with the show no doubt adding to the young couple’s tensions), it’s interesting that their careers both took off. Similarly, Will and Jada Pinkett Smith created a TV show called All of Us that ran for several years and was loosely based on his life with his child, ex-wife and fiancée (Jada). Chris Henchy wrote a sitcom, I’m with Her, about a regular guy who meets a famous star, based on his life with real-life bride Brooke Shields. And JLo and Marc no doubt put some of their real-life experience together into the making of the movie El Cantante. They’ve also collaborated and influenced each other’s music. Since astrologers often associate the retrograde phenomenon with restoring, re-establishing or restarting things, it’s also fascinating to see these couples committing to each other more than once. Brooke and Chris had a second, larger wedding ceremony for their friends and the public about two months after the first one. Jennifer and Marc reaffirmed their vows in October of 2008, over four years after their wedding. And Will Smith says he’ll do the same, but with a much bigger budget than their first wedding. When brides are absolutely terrified of following through with a wedding already scheduled on Venus retrograde, I advise them to try a civil ceremony before Venus moves backward. And if they truly feel from their own experience that the effects of Venus retrograde on their marriage are negative, they can always select a date without it for a recommitment ceremony later on! , was recently released. For more on weddings and astrology, see her website at YourWeddingAstrologer.com. I’m glad to see this advice ehre.my opinion is that too much emphasis is put on marriage anway–and for what?Most people are not religious anymore, as in say my parent’s generation (the people that grew up before and during World War 2.) and, most do believe that divorce is not only acceptable most sadly have been divorced. That’s all fine with me,btw.It is sad when marriages end, but some have to. What is stupid is all the expense and bruhaha over one’s wedding when the wedding may not work past 2 yrs! More importantly like Ms.Christino pointed out–most couples have lived together before the actual wedding,and most couples should, imo, know one another before they do marry.In *arranged* marriages, as in India, the couple’s birthcharts have been worked out beforehand–so if the wedding date is considered,at least the most important piece had also been. So–I completely agree that the composite or synastry chart should be more important than the wedding date. I agree that there’s often an over-emphasis on the superficial trappings of weddings. But another reason to choose a good wedding date astrologically is to ensure that you have a wonderful celebration! The divorce rate is very high in the U.S., which is a given. But marriage is a legally binding agreement. It entitles you to certain rights and privileges by default that vary from state to state. These may be very significant and can relate to insurance and estate benefits — those other 8th house things. So even if you’re not religious, I think marriage can be important, especially if you have kids together. Q: my g/f just got enagged today, or last night. she is excited. i can’t tell her that Venus is retro not to upset them, since i don’t think they give a danm about astrology. any thoughts? In my own experience of Venus retrograde, it seems like we take another look at relationships, we have more insight into them, can see them in a new light, and they are taken to a different level — whatever that may be. So it’s appropriate for someone to get engaged on Venus retrograde. If you look at the celebrity wedding examples in the article, 3 out of 4 appear to be successful — better than the odds, especially for celebs. These 4 examples of Venus retrograde were the only ones I found out of the many, many celebrity wedding charts I looked at. And ultimately, I do think that the compatibility of the couple is much more important than a short transiting influence like Venus. i guess i take a fatalistic approach to astrology that i think is more romantic. i like that you just pick a date for the usual reasons and then surpRRRRISE as to what is in the stars for you that day-down the road. by nature of not being overanalyzed and planned, the astrology of an important event is wed to you incidentally and you just accept it, have curiosity for what it implies, and ironically your connection to that day(astrologically) is more intimate. because it is organic and just came to you, not like you were trying to manipulate the universe for something that banal bourgeois planning can never bring you (love, romance). for a business transaction, communication with friends and coworkers – yes plan; for things involving romance and emotion – no, don’t plan it. I had studied astrology before I got married, but did not know about electional astrology at the time. I ended up with a Void of Course Moon, Mercury retrograde, a T-square and Venus in Virgo, all of which most astrologers would choose to avoid for a wedding chart (as I would, too!). Yet I’ve been married for over 20 years. Still, I’m not sure I would select these placements for anyone else. Some astrologers feel that you cannot evade what’s promised in the natal; others say that electional is the most magical branch of astrology, and that we can create our futures. I suppose I fall somewhere between the two. I think that we should take advantage of the tide when it’s running our way.